As we all know Omega 3 essential fatty acids are crucial to be included in the human diet. But do you eat fish 3-4 times a week to maintain good levels of these Omega 3’s? Do you have a fish allergy or just don’t want to eat fish? There are other foods that also contain good levels of Omega 3 that don’t always get the credit they deserve. Organic grass-fed beef and kangaroo are good animal sources. 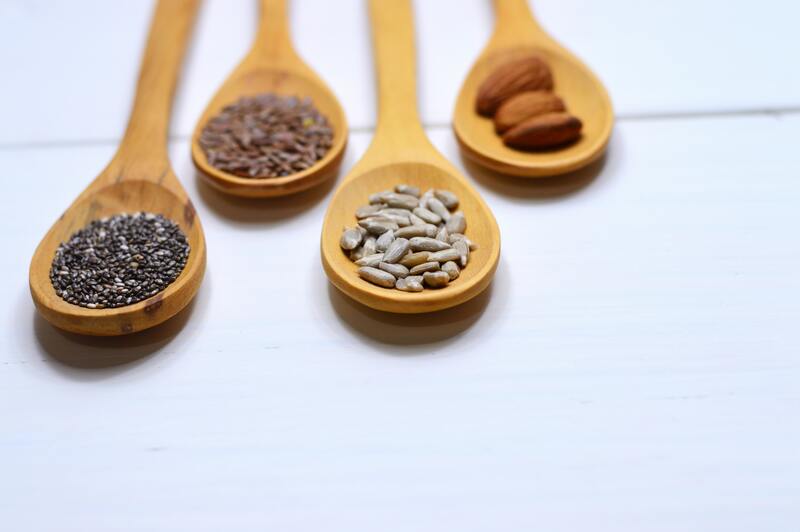 Great plant sources are linseeds and chia seeds. They do require certain nutrients and enzymes to convert the active ingredients EPA and DHA into our bodies, whereas fish and animal sources do not require this conversion. Hemp seeds are also a great plant source. The best plant sources are from the algae’s Chlorella and Spirulina. These algae are similar to fish and animal sources in that the EPA and DHA is readily available for our bodies to utilise. There are omega 3 supplements in both fish and plant sources if you feel you need a more therapeutic dose than what you can get from food. Fish oil has had the most scientific studies conducted. A recent study showed that even as early as 12 weeks into pregnancy, the mother taking omega 3 supplements during the pregnancy, reduced the risk of preterm birth. 11% for childbirth before 37 weeks and 42% for childbirth before 34 weeks. This study also showed there are other advantages for both mother and baby for eye, brain and nervous system development. Seeing a qualified nutritionist would be a good idea to assess whether a supplement would be of benefit and correct dosage for your needs can be given. Unfortunately, fish oil supplements are not created equal, so you want to make sure you have one of the best quality supplements. You certainly don’t want to be putting inferior oils into your body. 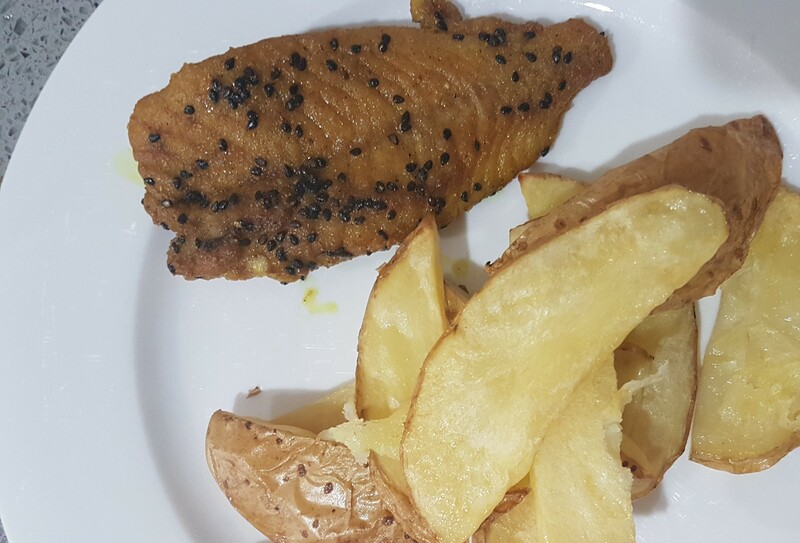 For those fish loving friends, here is a simple yet delicious Indian inspired fish and chip recipe. My 20 month old loves the fish more than the chips! Preheat oven to 180°C, drizzle olive oil and spread it around onto baking trays and spread out potatoes in a single layer. Spray or drizzle potatoes with some more extra virgin olive oil. Cook for 45 minutes until cooked and to your liking. Cut the fish into 4 pieces for each serve. 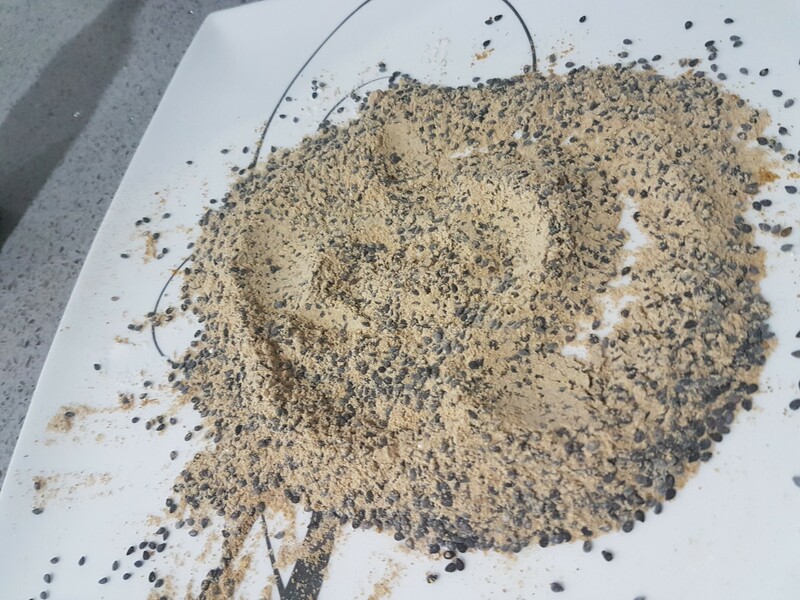 On a plate mix together the curry powder, sesame seeds and rice flour. Coat each piece of fish with the curry mix. Preheat frying pan and heat oil until hot and add the fish pieces. Cooking a couple of minutes on each side until cooked. Megan Crockart is a qualified Holistic Nutritionist & a self-confessed foodie! 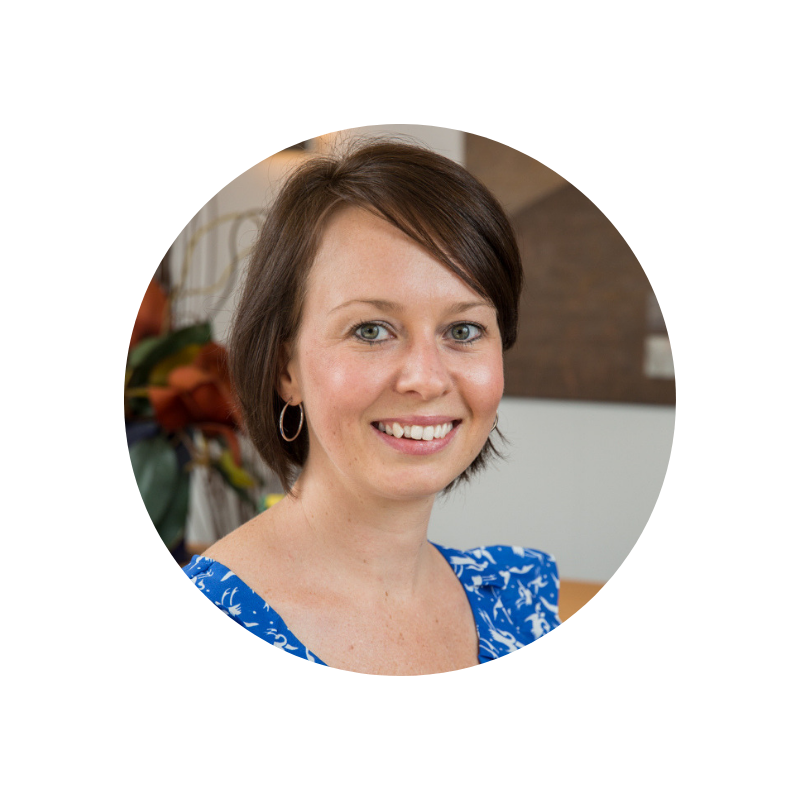 Megan has special interest in working with individuals with allergies, food intolerances, SIBO, eczema, pre- & post- natal health & children’s health. This entry was posted in Health Recipes, Health Supplements, Organic Food, organic recipes, Vive Clinic, Vive Health Nutrition, Well-being and tagged clinical nutrition, EPA DHA, epa dha benefits, food sources of omega 3, holistic health, holistic nutritoin, omega 3 benefits, omega 3 fish, omega 3 vegan sources. Bookmark the permalink.